30 days of colour: blue - Tropical Turquoise | Light Your Nails! I love everything about this nail art! Gorgeous! Definitely getting the tropical vibe! I love this monochromatic look! I love this! 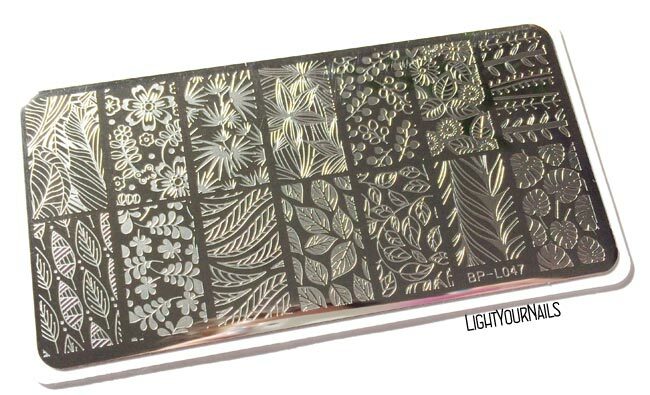 Your tone-on-tone stamping is perfect, and I need that plate! Thank you Kerry! That's a lovely plate! Ohh, these are stunning!! I love how the two polishes work with each other! 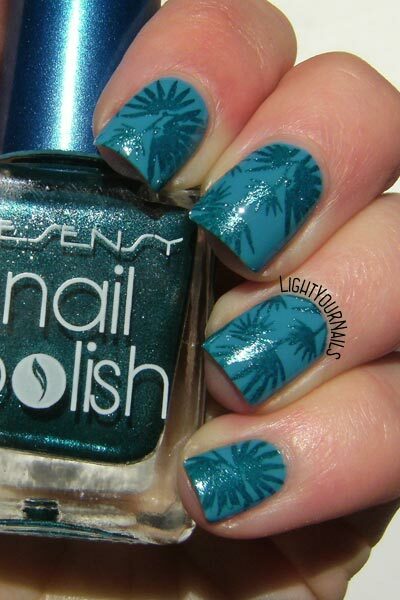 I love tropical manis! The leaves are just beautiful stamped over that blue. Very nicely done! I usually associate warm colors with the tropics but this works very well. Thank you Karen! Red and oranges would make great sunsets in the tropics! 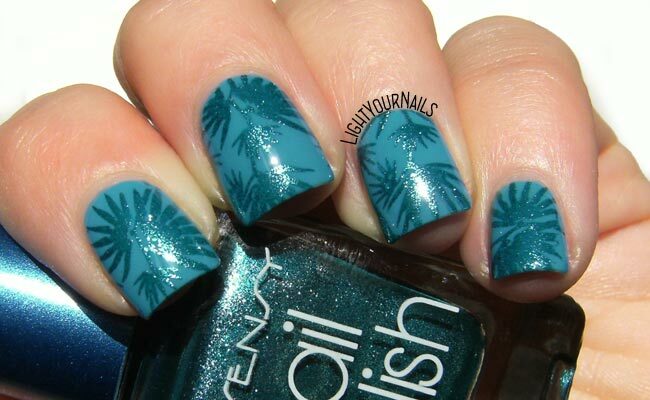 But blue and greens is all about palms and ocean for me! Wow! Palm fronds have never looked better! I love the colors here! I love this shimmery stamping. Looks very calming. I love these and I DEFINITELY get the tropical vibe from them! :) Awesome job! Oooh the creme + shimmer are awesome!